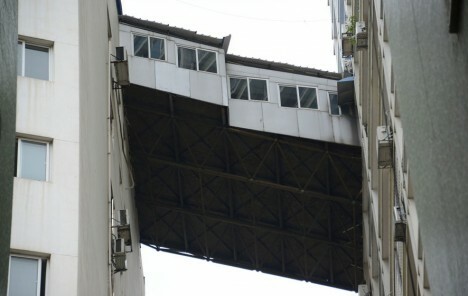 Sky bridges are a common sight in many cities, but are generally used to create a semi-public pathway from one building to the next, not to illicitly join two private highrise units in midair. 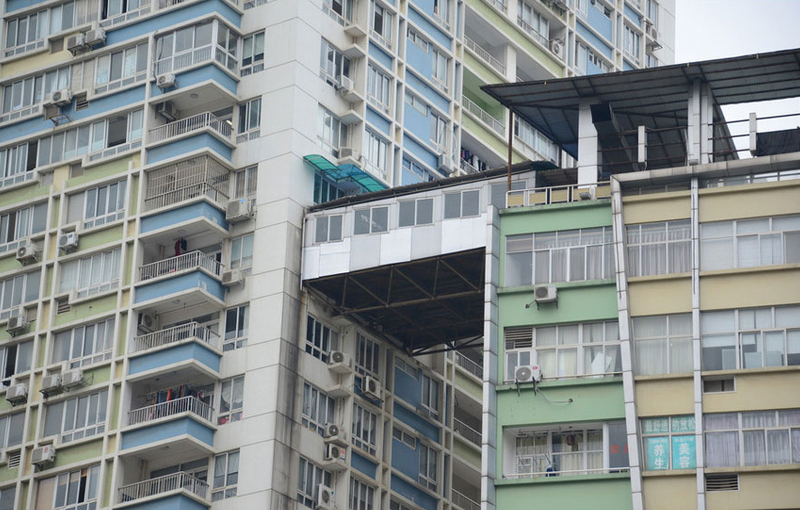 In Nanning, China, one resident apparently purchased two apartment units situated nearly across from (and facing) one another with a novel plan in mind: connect them via a slightly-sloped extension to expand his interior space. 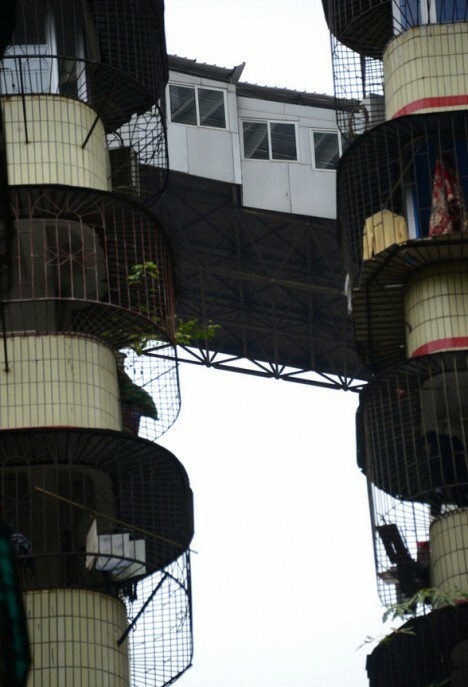 As a local paper reports, the raised structure is raising concerns for pedestrians passing below. The makeshift metal-roofed-and-clad addition is supported by a system of somewhat rickety-looking steel trusses forming a spaceframe below – given their elevation (and lack of planning permission), it is unclear whether these will survive natural disasters like serious storms or earthquakes. 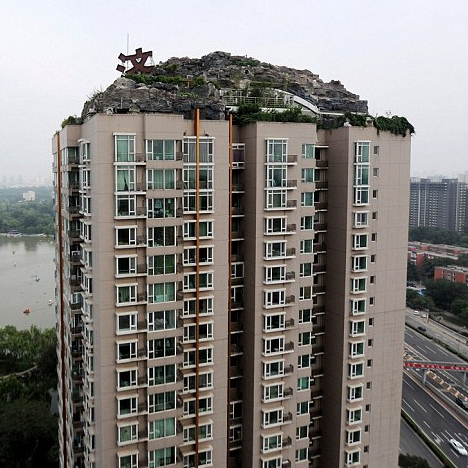 It also remains uncertain how this development got so far in the first place, but given other precedents in the region (like the illegal ooftop penthouse mountain shown above) this kind of rogue building project is not entirely shocking.